Landi Renzo is pleased to announce that we will be offering the F-250/350, E-350, and E-450 for MY2018 as CARB certified products. For years, Landi Renzo has obtained CARB certification on various vehicle platforms. Looking ahead to the next model year vehicles, Landi Renzo is pressing forward for MY2018 and expect certifications to arrive in Q1. With the addition of the E-350 for MY2018, Landi Renzo continues to aggressively expand new product for the Shuttle Bus market by adding this additional line to our portfolio of EPA and CARB certified products. 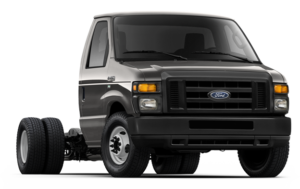 Exclusively for the California market, the F-250/350 is offered through our Certified Ford Dealer network for Drop Ship directly into our Ford QVM installation facility located in Torrance, CA. Nationally, Landi Renzo has both Ship-Thru or Certified Installers options to accommodate our network of dealers and customers. Stay tuned for more announcements in the future related to CARB Low NOx offerings that are currently in development.